I've discovered the warmer months must be my time to read. nah - give me a cold iced tea & a rocking chair with the sun blaring on me. I'm loving reading these past few warm months. Hope to keep the trend going through the rest of the warm months. ... & hoping it spurs a new love for winter reading. Fast Summary: A blind teen tries regular school & meets friends & especially a girl who he starts to fall in love with, but what happens when he has an experimental surgery that gives him his sight back & he sees that this girl looks like. First, when I saw this was by the guy I just read another book he wrote, & I loved him, I knew I had to read this. & this was totally still his style of writing. GOOD THING TO NOTE - I read this in less than 24 hours. I didnt want to put it down & I just really enjoyed it. It was eye-opening (total pun intended) to kind of heaR more about the world of the blind. Things I didnt think about - how they cant understand some descriptions or understand terms or even colors. When you have nothing to compare something too - there's no way to understand. It was quite interesting. But the book was great. Going through this path with Will - but mainly him learning to see the world for the first time, especially the girl Cecily, whom he has grown so close with since he started school. & then he sees not everyone told him a big part about Cecily. But how big of a part is it? This is actually a really good book that talks about how the beauty is really viewed - in the world & in the heart. 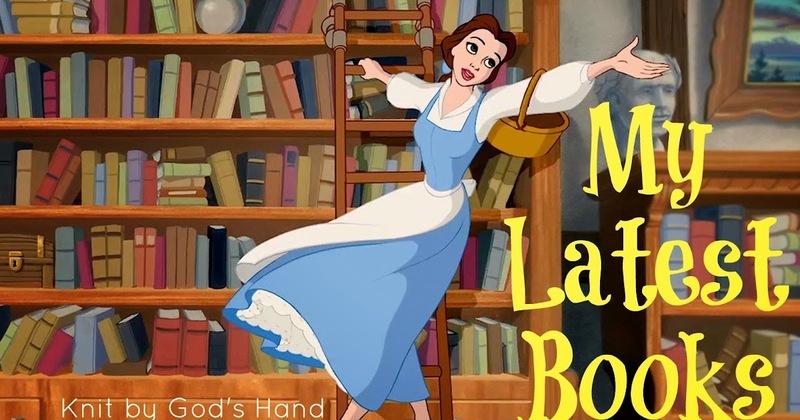 Fast summary: What if Belle's mother is the one who cursed the Beast? I SO FREAKIN' LOVED THIS BOOK!!!!!! I wasnt even sure what to expect... & got confused when I started reading & the chapters weren't making sense. Only to find out that each chapter was skipping up & back in time... ahhhh... once I got where the story was going, I was so hooked. I loved how the story of Belle & the Beast was exactly like the movie too UNTIL she grabs the rose & crushes it in the scene where he stops her. The whole thing centers around her mother, the Enchantress that cursed the Beast. It's such a clever, smart & interesting story. I just loved the TWIST on it. It totally makes me want to check out the other Twisted Tales now. 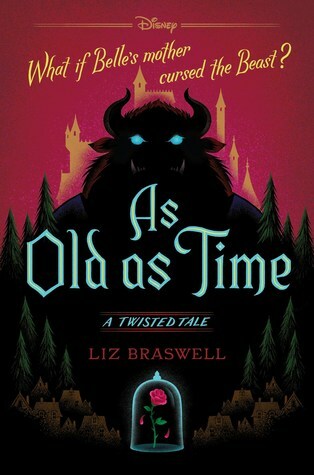 I am super picky about my Beauty & the Beast books being such an uber-fan... this is totally super high on my list. Totally recommend it. "What if, since her mother was the one who cast the spell, Belle was the only one who could break it"
Soooo.... this is going to be hard to believe for some, but I had never read a Elin Hilderbrand book before. I see them everywhere - especially during the summer. & have had 2 on my shelf for the past year, & FINALLY picked one up. & SO GLAD I DID. I loved the characters & how this switched from different view points of each character. & just fell in love with Nantucket & want to go there now. & work for the Chamber of Commerce. Of course, this is a chick lit with an old love coming back into town after nearly 20 years & how Dabney's life gets turned upside down. It even holds a little bit of 'magic' as Dabney apparently has this ability to 'match make' by seeing rosy colors around couples that are meant to be together... & makes life hard when she sees those she loves get the 'green haze' around them... including her daughter. ... so yeah, a little corny, but cute. The only part that got to me was how when Dabney was feeling bad, - like REALLY bad - she just kept calling it "love sick"... now, come on. I've been in love before & I've never had to call in sick from work for 3 days because everything on me hurt & I couldnt stand up. That was a just a little too much for me. But in the end, I had my heart invested in the book & totally got my heart broken at the end of this story.... which shows me I really did enjoy it. PS - my book had an authors note on why she wrote Dabney's character like she did & the ending she had & THAT is what choked me up more than anything. Not sure if every book has that or not... but it made the story even better to me after reading that. Truly. "Sometimes you regret the things you do, but they're over & done. Regretting the things you didn't do is tougher because they're still out there, haunting you with the what ifs"
First, I have to say, this isn't typically anything I read. I'm usually more of the clean cut, Christian novel reading kinda gal... but when I saw my friend had been working so hard on a book & it was coming out, I couldnt wait to get my hands on it. She sent me a copy to check it out - & FYI - its coming out in just a few weeks. She DID warn me that this was a little racy & I just had to read it. Granted, I am not a prude but I think I did blush a few times in the book, but I caught myself saying "LANGUAGE" out loud over & over - but then found myself really seeing the characters in all the action & language of the book, it didnt bother me nearly as bad by the end of the book. Actually by the end of the book, I was just sad to let Nate Walsh go. The story is really a fast read & kept me in it to see how it was all going to end. We have romance, a LOT of romance, friendships, loss, memories, nostalgia, uncertain futures... so much happening in this book. If you love a good, steamy, beachy, chick-lit story that is full of great characters, check it out!!! "...love is more like a mosaic - creating something beautiful white still flawed & imperfect. Just like us." So cool that your friend wrote a book and gave you an advanced copy! Based on your like for the Elin Hilderbrand book, I think you might like Beth Harbison's "Always something there to remind me". You are a child of the 80's so I think you would love it! You always share books with the prettiest covers! The twisted tales, Beauty & the Beast story sounds like it would be really fun, and knowing how big of a fan you are and seeing how high you rated it, makes me even more interested! Hmm might have to look into the Twisted Tales! I've been hearing a lot about Erin Hilderbrand books so now i'm off to research! I have As Old as Time on my list for Erin's challenge, so I'm glad you liked it! Approved by the Beauty and the Beast expert. Love And First Sight is on my list and I think I'll have to check out that B&theB book after your stamp of approval!!! Those Twisted Tales intrigue me and I need to go check them out, pronto! So sweet for you to review your friend's book, even knowing that it's not really your typical read. 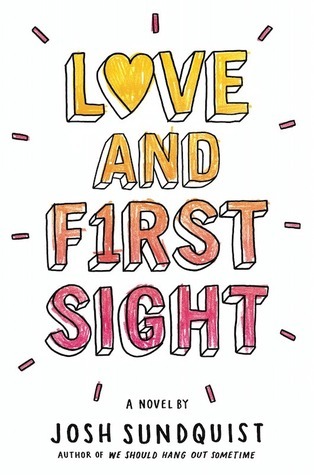 Love and First Sight sounds really good (love the quote you shared) and I'm adding it to my TBR. The twisted Disney tale sounds interesting. I've thought about checking out the Aladdin one. I love the island of Nantucket so now I'm a little curious about that book! Looks like you had a great reading month overall!! I loved The Matchmaker!! I'm glad you did, too!! The Matchmaker sounds SO good. Definitely need to pick it up soon! I love that your friend wrote a book. I am so far behind on reading that I am not even sure when I could read any of these. I go on a trip next week and have two others you recommended to finish. Ha. I've never read an Elin Hilderbrand book and I'm actually quite okay with it. Her books don't strike me as ones I'd like. I can't put my finger on why. I may have to read The Matchmaker too, looks like up my alley!!! Beauty & The Beast is my favorite Disney movie ever, and that Twisted Tale sounds right up my alley! 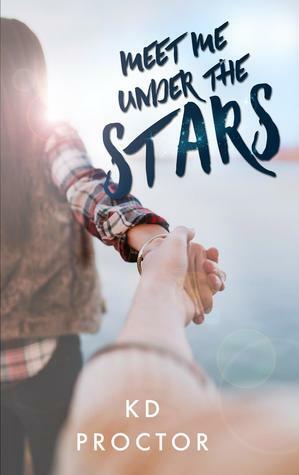 Meet Me Under The Stars also sounds like a really cute read as well, so I'm adding that to my list as well! Love and First Sight sounds so interesting! I read this post with my Goodreads open and just added so many books!! I am with you, I am loving summertime reading this year too! I've yet to read an Elin Hilldebrand book, and when I read others rave about her books, I always want to give her a try, but I find myself passing her over when I'm at the store or library. Don't know why. I've read one of the twisted tales, but not the Beauty and the Beast one. I'm glad it was a good read for you!! Thanks for sharing. just added all of these to my list. i don't mind racy books so that one does sound good lol. i've never read an Elin Hilderbrand book either, but i added that one! 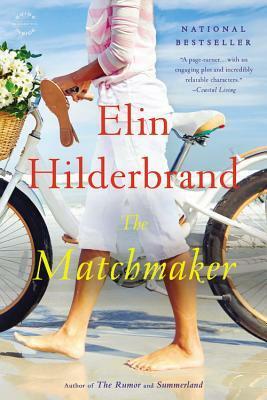 I think I already have Matchmaker on my TBR. I haven't read any of her books but have several on there and need to test one out. I will add Meet Me Under the Stars to my list! Going to put that first book on my wish list. It sounds like it will be great for my classroom! !